Our new Creative Industries Precinct building, Z9, hosts special project spaces that enable industry to collaborate with the creative industries. 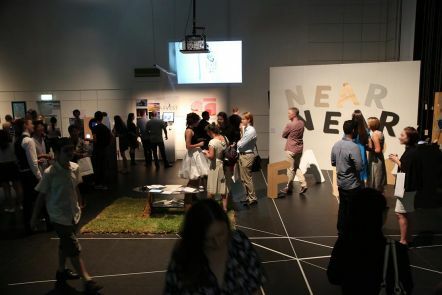 The Block, one of the many venues available at our Creative Industries Precinct, is an interactive exhibition space, fully wired for dense multimedia displays. 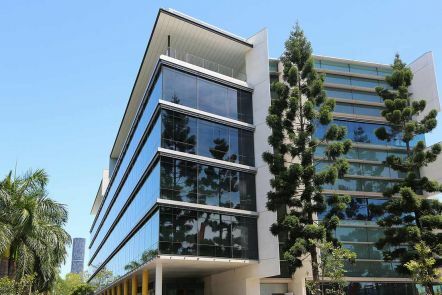 Boasting some of Brisbane's most sophisticated, high-tech digital facilities the Creative Industries Precinct at QUT's Kelvin Grove campus is an incubator for the next generation of ground-breaking ideas, emerging and experimental artists and designers, and creative enterprise. These three versatile spaces just minutes from Brisbane's CBD are ideal for large-scale filming including TVC's or music videos, film screenings, product launches, workshops, meetings, fashion shows, and more. The Loft - an ideal venue for 'live' experimental work integrated with new media. The Block - an interactive exhibition space, fully-wired for dense multimedia displays. The Glasshouse - a multi-function space situated in the heart of the Creative Industries Precinct. Please contact our Events team to find out more about these very unique spaces.